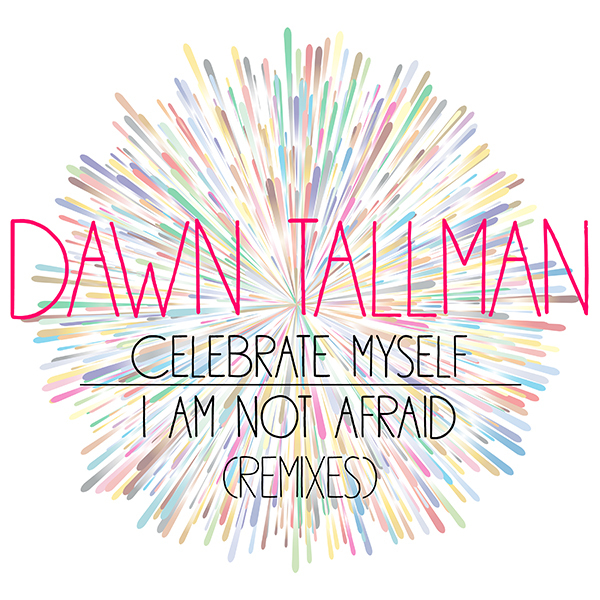 Honeycomb Music is extremely proud to present the highly anticipated double release from the incomparable Dawn Tallman, entitled “Celebrate Myself” b/w “I Am Not Afraid (Remixes)”. Both of these tunes are beautiful and powerful, speaking volumes to the inner dancer in us all. With the smash success of “For Me,” we love that Dawn and Josh’s follow-up continues to encourage such self-worth and fearlessness. We need these lyrics today! Additionally, Josh’s signature Honeycomb sound compliments the strength in Dawn Tallman’s magnificent voice. The wait is over, pick up your copy and celebrate yourself! "Celebrate Myself" lyrics and music written and produced by Joshua Milan. "I Am Not Afraid (Remixes)" lyrics written by Josh Milan. "I Am Not Afraid" original music written by Luis F. Vega. "I Am Not Afraid (Remixes)" music written and produced by Joshua Milan. All vocals performed by Dawn Tallman. All instruments performed by Josh Milan. Recorded and mixed by Josh Milan at Honeycomb Music Studios in East Stroudsburg, PA. Mastered by Adam Cruz at EbbnFlow Studios in Bloomfield, NJ. "Celebrate Myself" is published by Tallmax Music (SESAC) and Josh Milan Songs (BMI). "I Am Not Afraid (Remixes)" is published by Tallmax Music (SESAC), Josh Milan Songs (BMI) and Niconane Music (BMI). Cover art design by Adam Cruz. Executive Produced by Josh Milan and Adam Cruz. ©2017 Honeycomb Music, LLC. All Rights Reserved. Distributed by The Cruz Music Group, a Division of Mixtape Sessions Music, LLC.